In an order entered yesterday, the Illinois Supreme Court appointed Anthony C. Swanagan to the 15th Subcircuit vacancy created by the retirement of Judge Frank G. Zelezinski. Swanagan's appointment is effective April 24 and terminates December 3, 2018. According to ARDC, Swanagan has been licensed as an attorney in Illinois since 1987. He currently serves as a career clerk to U.S. District Court Judge Andrea R. Wood. Earlier in his career, Swanagan was employed by Jones, Ware & Grenard and as general counsel for Galileo International, Inc.
A campaign website has been established for Judge Fredrick H. Bates. That's a link to the website in the preceding sentence; when there are a few more of these, this will be added to the list of campaign websites I'll set up in the blog sidebar. Judge Bates currently serves by appointment to the Lampkin vacancy in the 2nd Subcircuit. His campaign website touts his two years' experience as a Circuit Court judge (prior to his current appointment, Judge Bates served in a different, countywide vacancy), 15 years as an administrative law judge, and 15 more as an attorney. The site lists attorneys Louis C. Cairo, of Goldberg Weisman & Cairo, and Larry Rogers Jr., of Powers, Rogers & Smith as campaign co-chairs (Rogers also serves as a Commissioner of the Board of Review). The website also lists 34th Ward Ald. Carrie M. Austin, 9th Ward Ald. Anthony Beale, 21st Ward Ald. Howard B. Brookins, Cook County Board President Toni Preckwinkle, 6th Ald. Roderick Sawyer, and Cook County Recorder of Deeds Karen Yarbrough are listed as honorary campaign co-chairs. A [judicial] candidate shall not personally solicit or accept campaign contributions. A candidate may establish committees of responsible persons to conduct campaigns for the candidate through media advertisements, brochures, mailings, candidate forums and other means not prohibited by law. Such committees may solicit and accept reasonable campaign contributions, manage the expenditure of funds for the candidate's campaign and obtain public statements of support for his or her candidacy. Such committees are not prohibited from soliciting and accepting reasonable campaign contributions and public support from lawyers. A candidate's committees may solicit contributions and public support for the candidate's campaign no earlier than one year before an election and no later than 90 days after the last election in which the candidate participates during the election year. I am not an election lawyer. Persons interested in running for judge should consult with an election lawyer of their own choosing before making any campaign-related decisions. However, with that clearly stated, I believe it is safe to say that it is now legal for judicial wannabes to establish committees and for those committees to raise funds. A lot of the blanks have been filled in since the last time I ran this list, but there will be more vacancies, if there aren't already. This list will be updated as circumstances warrant and time permits. 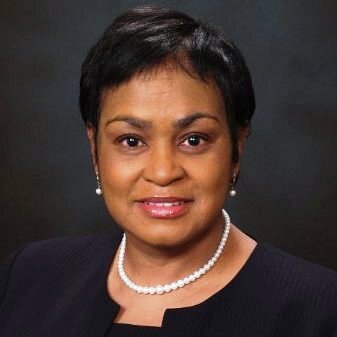 The Illinois Supreme Court today appointed Loop practitioner H. Yvonne Coleman to the 5th Subcircuit vacancy created by the recent retirement of Judge Patrica Banks. The appointment, which is effective next Monday, March 27, expires on December 3, 2018. According to her LinkedIn profile, Coleman concentrated her practice "in employment and civil rights litigation, workplace investigations, and mediation." 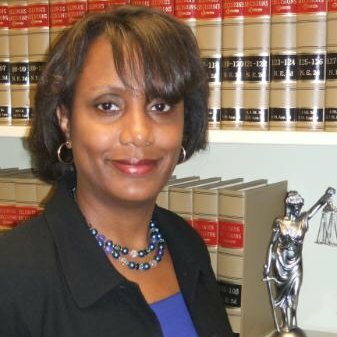 She previously served, according to the LinkedIn profile, as Bureau Chief of the Civil Rights and Disability Rights Bureaus in the Office of the Illinois Attorney General, and as Manager and Chief Hearing Officer, Appeals Division, with the Illinois Department of Employment Security. 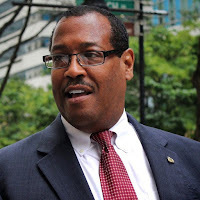 Coleman also served as General Counsel with the City of Chicago Independent Police Review Authority, according to LinkedIn. Coleman has been licensed as an attorney in Illinois since 1988. She filed for a countywide vacancy in the 2014 Primary, but withdrew from that race. She also filed for a 5th Subcircuit vacancy in the 2016 election cycle, but withdrew from that race also. In separate orders yesterday, the Illinois Supreme Court appointed a pair of Cook County Assistant Public Defenders, Toya T. Harvey and Adrienne E. Davis, to two Second Subcircuit vacancies. Harvey (pictured at left) was appointed to the vacancy created by the recent retirement of Judge James L. Rhodes. Harvey has been licensed as an attorney in Illinois since 1995, according to ARDC. Her appointment is effective on Thursday, March 16 and terminates on December 3, 2018. An application process for the Rhodes vacancy was posted by Illinois Supreme Court Justice Anne Burke. Davis was appointed to the vacancy created by the retirement of former Markham Presiding Judge Marjorie C. Laws. Davis, who has served as a part-time faculty member at Loyola University Chicago School of Law, has been licensed in Illinois since 1994, according to ARDC. Her appointment is effective on March 17; it also terminates, of course, on December 3, 2018. If not all, then almost all of the recently appointed judges seem to have also completed applications for this new class of associate judges. The Supreme Court may giveth, but the Democratic Party sometimes taketh away. It's best to hedge one's bets. Several former judges are on this list as well. Some of these were slated when they ran; some weren't. However, as I'd suggested in a Page Two post back in 2015, slating buys only credibility and access. The $40,000 buy-in (or whatever it may be for 2018) is like an NFL seat license: It just buys the candidate the right to buy tickets, in this case tickets to everybody else's fundraisers. And ads in everyone's adbooks. And then, of course, there's SLATING... and then there's slating. And the electorate can be fickle, even when the committeemen are faithful. So, for many reasons, some judges wind up ex-judges, hoping to return via the associate judge selection process. Some just lost their spots; some have been gone for awhile. FWIW readers will recognize a number of applicants on this list as candidates in previous election cycles. Many of these have applied for associate judge before as well. Some names will be particularly familiar because they'd previously made it to the Almost-Promised Land of the Fabled Short List. Almost-promised. These former finalists stand once again outside the wardrobe door, hoping it will fully open into Narnia this time but, if history is any guide, many will find only old coats. Anyway, without further preface, here is the list of applicants. Persons with relevant information regarding any associate judge applicant are invited to correspond with the Circuit Court of Cook County Nominating Committee, c/o Chief Judge Timothy C. Evans, 50 West Washington Street, Room 2600, Chicago, Illinois 60602.